A group of voting rights advocates is pushing for three fundamental electoral reforms prior to the 2010 midterms. WASHINGTON (CNN) – Armed with anecdotal evidence from thousands of calls placed to voter hotlines last year, a group of voting rights advocates will lobby Congress Thursday for changes to the federal laws relating to the nation's election administration systems. "So much of the process right now is set up with barriers for the voter that is more focused on going through so many hoops to actually exercise the franchise," John Bonifaz, the Legal Director of Voter Action told CNN. A national coalition of voting rights groups including Voter Action, the NAACP National Voter Fund and the Advancement Project, will present a report Thursday to Pennsylvania Rep. Robert Brady, chairman of the House Administration Committee, that makes the case for a number of electoral reforms. The hearing is titled: "Engaging the Electorate-Strategies for Expanding Access to Democracy." The report is based on a review of roughly 17,000 calls placed by voters in Florida, Georgia, Missouri, Ohio, Pennsylvania and Virginia to two voter hotlines – one marketed by the NAACP National Voter Fund primarily to African-American audiences and another marketed primarily by CNN and its affiliated networks. "The focus should be – as we try to highlight in this report – how do we enable the voter to exercise the franchise in an unencumbered way?" Bonifaz said. 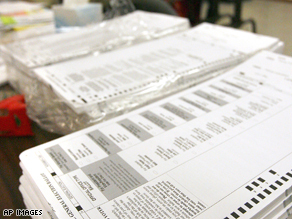 Advocates will push Congress to make three fundamental changes to how elections are conducted. Students at Lincoln University faced very long lines to vote Tuesday. (CNN) - Long lines were common in several battleground states on Election Day, but students at Pennsylvania's Lincoln University may have set a new standard for patience. Hundreds of voters who registered at the last minute turned out to cast ballots at the college outside Philadelphia, forcing precinct officers to verify their eligibility with Chester County's election office, said Agnes O'Toole, assistant director of the county's Department of Voter Services. The result was a nearly 11-hour wait in a chilly drizzle for voters like Jacintha Johnson, a senior at the historically African-American school. Johnson told CNN that she got in line at 7:30 a.m. and voted at 6 p.m.
"Practically the entire school was out there," she said. "It started to rain. Students were complaining about being hungry. The school provided some snacks, finally, at about 10 o'clock in the morning. Now, the line is pretty much the same." O'Toole said registration drives delivered forms for about 700 of the nearly 2,800-plus voters registered at that precinct on the October 6 deadline for this year's elections - "So when the poll books were printed, they were not in the poll books." Calls to O'Toole's office verified most of those in line were registered voters. Others were issued provisional ballots, she said. But the process slowed down the line. 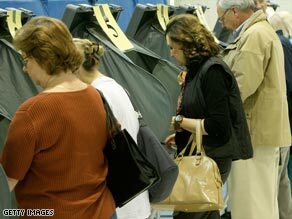 VELDA CITY, Missouri (CNN) - Pollworkers failed to set up about half the number of available machines at the city hall polling station, slowing the process to a crawl, said a county elections board representative. Seven hour waits were reported late afternoon. Elections officials said the polling location was so small that the 14 workers on-site decided it would be too cramped if they set up all the machines. Three touchscreens and two optical scanners had been set up to accommodate about 1,200 registered voters, while 4 additional optical scanners remained unpacked. By 4pm, election board director Judge Joseph Goeke had identified the problem and ordered that workers set up the remaining idle units. The county elections board representative told CNN that wait times are back down to 2 hours at the site, and that all voters in line will be allowed to cast their ballots. Virginia voters at the polls in Alexandria. WASHINGTON (CNN) - At least three cases of possible voter suppression at election sites around Virginia will be investigated by state police, according to Virginia election officials. The cases were reported in the city of Richmond, Fairfax County and Fauquier County, according to Nancy Rodrigues, Virginia's executive secretary of the Board of Elections. In once case she said the "over presentation of law enforcement" at one polling location was called in. In another case someone was playing a recording of right-wing radio host Rush Limbaugh loud enough to violate the no campaigning within 300 feet of a voting location. "We are working very closely with local and state police to investigate these allegations," Rodrigues said during a press conference in Richmond Tuesday. A spokesperson for the election board said they could not say what the third incident was and could not comment further on the cases, only saying that investigations are underway on all three incidents. 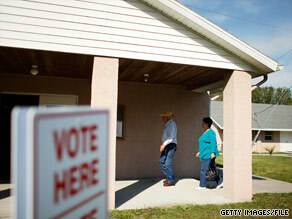 (CNN) - A power outage briefly delayed voting in Akron, in the battleground state of Ohio Tuesday. Summit county Board of Elections director Marijean Donofrio says the power went out at two polling places, a school and a community center for about 20 minutes for an unknown reason. Donofrio says election officials were able to restore electricity using a generator. She says turnout in the county has been heavy but voters in line at the times the polls closed at 7:30pm would be eligible to vote. (CNN) - With voters turning out in record numbers, voting rights advocates in Ohio say they have received thousands of reports of problems with provisional ballots across the state Tuesday. Voters in Columbus and Cleveland registered the most complaints. Pam Wilmot from Common Cause said provisional ballots could "play a significant role in the outcome of today's election." Ohio relies heavily on provisional ballots which are issued to a voter for a myriad of reasons but the top three are the voter's name not appearing on the registration rolls, a voter showing up in the wrong precinct, or problems with the voter's form of identification. Patrick Galloway, spokesman for the Ohio Secretary of State says his office has gotten complaints about the number of provisional ballots being issued. He says the Secretary of State's office has "provided direction to the (state's county election) boards to get the word to their provisional judges at polling locations on how to make sure votes are accurately cast." Steve Hartsman, director of the Montgomery County Ohio Board of Elections which includes Dayton estimates that by time polls close, voters will have cast 12,000-18,000 provisional ballots in his county Tuesday. Hartsman says Montgomery county typically sees 10,000 provisional ballots cast, but he points to record high numbers of voters. Hartsman says more than 300,000 votes will be cast in Montgomery county. In 2004, 279,000 votes were cast. Voter turnout is high in Cleveland as well. Kim Bartlett of the Cuyahoga Board of Elections says as of 6pm a random sampling of 44 precincts in her county shows that voter turnout is at 56.07%, which she characterizes as high. (CNN) - A judge ruled in favor of the New Hampshire State Republican party today in a lawsuit that alleged some GOP election observers were prevented from monitoring same day voter registrations. "We are not alleging any malfeasance today," said Fergus Cullen , Chairman of the New Hampshire Republican Party. "The ability to observe some same day registration process was denied by individual polling stations." Cullen told CNN the judge ruled quickly in their favor. Superior Court Judge Gillian Abramson ruled that poll observers should be situated in an area where they can "meaningfully see and hear each voter." 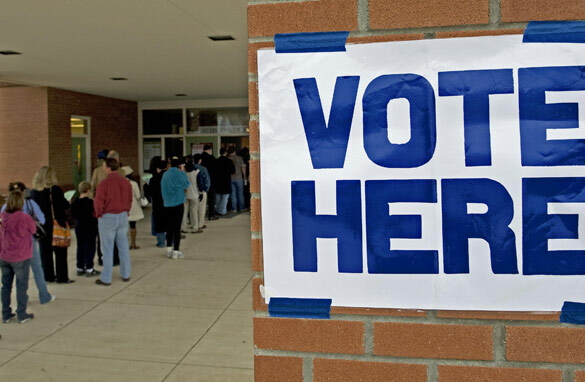 Matt Normand, Deputy City Clerk for Manchester, New Hampshire, pointed out there are privacy issues surrounding access to voter registration tables because sensitive material- such as social security numbers and driver's license could be compromised. WASHINGTON (CNN) – In the final hour of voting in Virginia the state continues to see record voter turnout and expects it to continue until the pools close at 7pm, state officials said Tuesday. Up to 40 percent of Virginia's five million registered voters showed up to the polls Tuesday morning, breaking previous records and causing long voting lines, according to state election officials and CNN viewers. Robbins' name was missing from rolls. 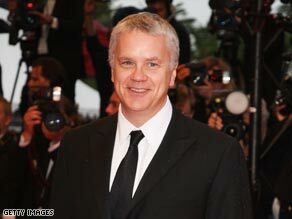 NEW YORK (CNN) - When Academy Award-winning actor Tim Robbins showed up at his West 14th Street YMCA polling center in Manhattan to vote Tuesday morning, election officials told him that his name was missing from the register. "I went to vote where I normally vote and I was not listed. I asked for an explanation; they had none," Robbins told CNN. He said he has been voting in the same district since 1992. He has not missed one election, and has not changed addresses or political affiliations. "The poll worker said my name was in the book for the primary two months ago, but missing for the general election," he told CNN. Although Robbins was offered the opportunity to fill out a provisional ballot, he was set on using the voting machine instead. "Refuse provisional ballots - they're throwing those out, they can throw those out," he told viewers of "Real Time With Bill Maher" last month. "If that's your last resort, take it, but fight for your right to vote," he said. "It's your right as an American." It took Robbins a total of five hours - and a judge's order - to do so today. "I'm just waiting for an explanation. I want a real explanation, and I want that explanation for the hundreds and thousands of people in my district and throughout the city who are experiencing the same thing today," Robbins told CNN. A New York City Board of Elections representative did not return CNN's calls. Polling places nationwide have seen heavy turnout - and accompanying delays and glitches - for the presidential race between Republican John McCain and Democrat Barack Obama. Michigan residents stand in line waiting to vote in the presidential election at the Coleman Young Community Center in Detroit. 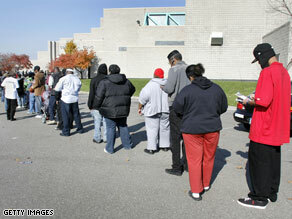 (CNN) - Estimates on the longest voting lines in Detroit, Michigan were as high as 5 hours. Election Protection, a non-partisan voting watch dog group, reported a 5 hour, 1,000 person long line at Detroit's Beth Eden Baptist Church earlier on Election Day. They said it was largely due to understaffed polling stations. While state officials echo that lines were long, especially in the morning rush, they couldn't confirm voters waited 5 hours at this location. "We heard a report that 1000 people waited 5 hours but when we got there at 3:00 pm, there were 100 people inside, 100 people outside and they had waited two and a half hours," said Kelly Chesney, Spokeswoman for Michigan's Secretary of State. They expect lines to swell again as people get out of work and while most polls close statewide at 8pm ET, 4 of Michigan's western counties, Dickinson, Gogebic, Iron, and Menominee, are in the Central time zone and polls close there at 9pm ET (8pm CT). 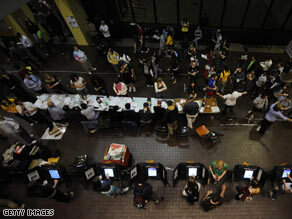 Voters still standing in line at 8pm will be allowed to cast their vote.